We stock a few barometric pressure sensors, great for altitude and weather measurements. 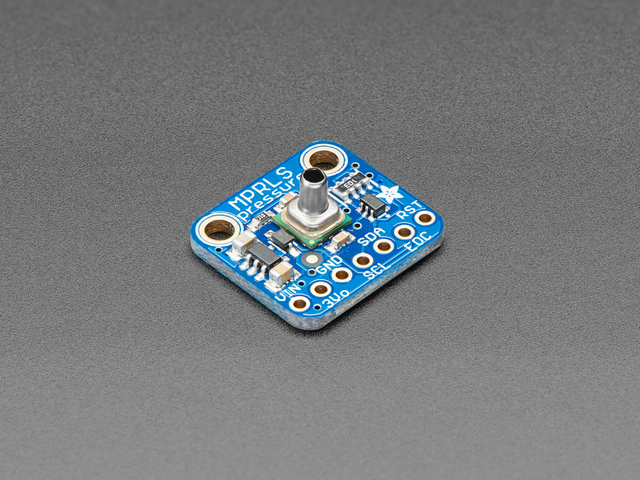 This pressure sensor is special because it comes with a metal port! Unlike other pressure sensors, you can easily attach a tube to it, to measure air pressure inside a close space. In particular we think this would be a great sensor for use with making DIY assistive tech "Sip & Puff" interfaces, or measuring the pressure within a vacuum chamber or other pressurized container. The port is made of stainless steel and is 3.7mm long and 2.5mm diameter. It doesn't come with tubing so be sure to purchase some tubing to attach to the port. Consider using 3/32" ID (internal diameter) tubing. If you find it's not snug enough for your project, try using 1/4" ID tubing with the 3/32" ID tubing inside for a better fit. This guide was first published on Sep 26, 2018. It was last updated on Sep 26, 2018. This page (Overview) was last updated on Apr 18, 2019.